Beauty Costs > How Much Do Progressive Lenses Cost? How Much Do Progressive Lenses Cost? Progressive lenses, also known as no-line bifocals, provide a gradual change in lens strength, helping you see at any distance. With three prescriptions built into one, these lenses are recommended for those who need glasses both for distance and for reading and find the traditional bifocals uncomfortable. Progressive lenses are the preferred type of bifocal lenses because they contain no visible line and are more functional, allowing you to see with complete clarity. While anyone can use these lenses, most eye doctors will prescribe them for people who are older than 40 years old. The cost of progressive lenses will depend on the brand, type and where they are purchased. On average, plan on spending anywhere from $85 to as much as $400 on just the progressive lenses. This price won’t include the frames or prescription. By the time you add in the lenses, frames, the prescription and coating, most people find themselves paying a grand total of $300 to $550+ for progressive lenses. At Walmart, for example, members on Firmoo.com said they were quoted anywhere from $70 for a basic lens to as much as $160 for a high index. This didn’t include the costs to coat the lens or the frames. By the time you add everything in, the total costs could be close to $400. At Costco, a pair of HD progressive lenses with anti-reflective coating and UV protection costs $130m according to Consumer Reports. In this same report, CR notes the average progressive lenses can retail for $260. LensCrafters, a popular retailer of prescription eyewear, apparently sells its progressive lenses for $500 to $600 total when the frames, prescription, and lenses are included in the estimate. These estimates were gathered on ConsumerAffairs.com. OpticianWorks.com says you should be prepared to spend $200 to $600 for a complete pair of progressive glasses. They also recommend avoiding purchasing the latest and greatest marketing gimmick unless it has a 100 percent money back guarantee. Warby Parker progressive lenses, depending on the type, can cost $275 to $375 for just the lens. Freeform, another popular brand, can cost $130 to as much as $299+ for a high index lens. Varilux, another brand consumers consider, can retail anywhere from $129 to more than $400 for just the lens. Progressive lenses have a few options available. Standard progressive lenses, for example, offer a wider reading scope but require a specific-sized frame to ensure a smooth transition from distance vision to near-sight tasks such as reading. Short-corridor progressive lenses are designed to fit into smaller frames and have reading vision “corridors” that are not wide. Computer progressive lenses are designed for office use and appropriate for people who use a computer for more than four hours a day. Lastly, premium progressive lenses offer a wider reading area without the usual distortion. Depending on the supplier and the brand, progressive lenses should come with a free case and limited warranty, which usually lasts up to a year. A prescription will be required, and depending on where you go, this can be another $60 to $125 without insurance. If you want your lenses to be coated, this could be an additional $40 to $90. Adding a tint can be an additional $5 to $20. Shipping fees, if you were to buy online, may apply, depending on the retailer. It will take some time to get used to your progressive lenses, and while it’s tempting to switch back and forth from your new glasses to your old, avoid the temptation. The more you wear your new lenses, the quicker you can get used to them, according to VivaFifty.com. The website also notes moving your head while using the glasses instead of your eyes. This can help you avoid eye strains, which can eventually lead to headaches and discomfort. Give it at least two weeks, at a minimum, to get used to your new progressive lenses. Progressive lenses, just like other lenses, do have its pros and cons. As for advantages, you won’t need more than one pair of glasses, because as mentioned, all three of your prescriptions will be built into one. Also, according to WebMD.com, you won’t get a “jump” when you’re focusing from one area to the next, creating a smooth transition. The drawbacks, according to most, will be the adjustment period. Unlike traditional lenses, it can take the time to train yourself to get used to the lower part of the lens when reading or looking straight ahead. Some people may never adjust, but even if you do eventually, you may feel lightheaded or even get headaches during the transition period. Highly consider shopping online before you purchase from a local company. Most of the time, the costs will be cheaper. Consider looking for coupons or special sales at a local vision center to see if any make sense for your budget. With these sales, however, be sure to read the fine print to know what your limitations are. If your frames are still in good condition, consider keeping your frames to save upwards of $150+. Shop around. With so many vision centers, talk with a few over the phone to see if you can get a ballpark price before making an appointment. 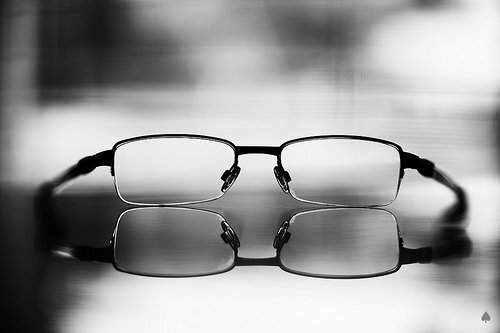 After so many years why are Progressive lenses still quadruple the amount of regular lenses? There is a scam going on to make older people pay $1000 per year on progressive glasses. This is not fair and not justified. We have the technology and materials now so why didn’t the price go down? Why even offer and bother to make a narrow corridor in progressive lenses when a wider one is what we all want but many can’t afford!! This is not right and a riot should be made against these opticians for these outrageous markups. Vision should be affordable to everyone.